There's no such thing as bad publicity at least that's the motto among celebrities in Hollywood, but when you're a huge brand like Nike a bad look could cost you millions. 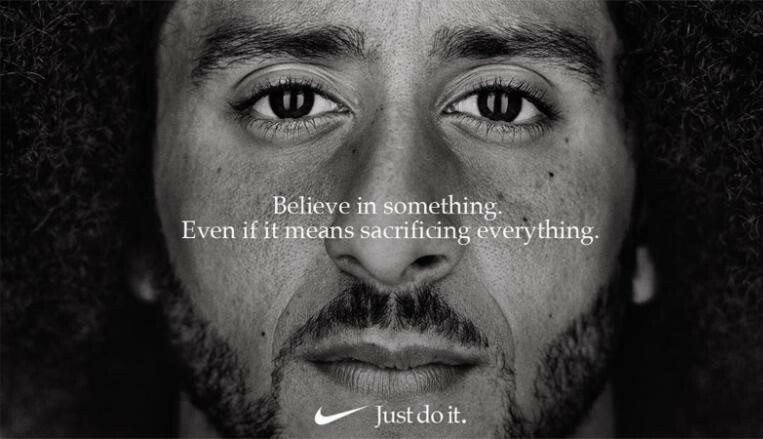 When Nike announced that it would be sponsoring former San Francisco 49ers quarterback Colin Kaepernick for its 30th anniversary “Just Do It” campaign the company amassed more than $43 million in free exposure. Bloomberg reported Tuesday, that Nike basically received free advertising in less than 24 hours after it revealed its decision to the public due to the big fuss on social media. Apparently, a lot of American patriots didn't agree with Nike's choice and deliberately began vandalizing their own purchased Nike products. 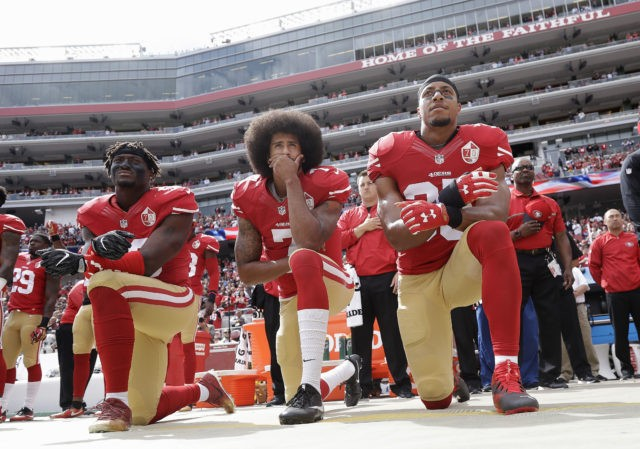 Now we all know that Kaepernick has been a very controversial subject in the media since he took his first knee during the national anthem of the 2016 games in protest of racial inequality. Since then he has been labeled a troublemaker and everything but a patriot. Even though the great majority of Nike's free exposure was said to be positive, and they're obviously not worried about a massive sales decrease; how does this affect their apparel contracts with the NFL? Nike originally signed a $1.1 billion, five-year deal to be the NFL’s exclusive provider of uniforms and apparel which began in 2012. That deal was then extended in 2015 for three more years which runs through the 2019 season. Then in March of this year, the brands signed yet another contract extending the deal to 2028. How much Nike spent out of pocket for this NFL deal hasn't been released yet but according to money.cnn, Nike spent $1 billion on its 8-year apparel deal with the NBA. So it's obvious that Nike and the NFL have a tight relationship. At least as until 2028. Even if the NFL wanted to back out now with all the latest publicity surrounding Nike and Kaepernick they couldn't without legal actions. This is quite a gamble for Nike; even if the publicity raises sales, Kaepernick is still unsigned to any NFL team. So, what's the motive? Would Nike risk losing its long-standing relationship with the NFL in order to get Kaepernick signed? Or is Nike using Kaepernick for publicity? With 2028 so far off, it's hard to say but there's definitely something fishy going on. I don't know what it is, but I can't wait to see how this turns out. As for all the angry American patriots vandalizing your own clothing I have four words for you Good Will and Salvation Army.